When fielded, deal 1 damage to target character die. If that die leaves the Field Zone this turn, Vulture gets +1A and +1D until end of turn. 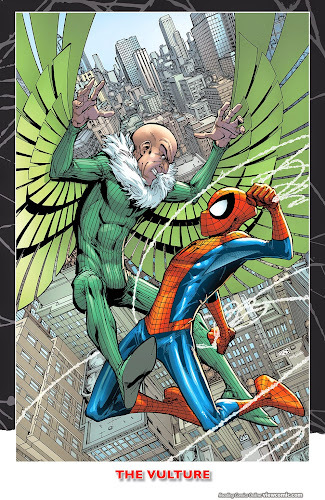 ^ Giant-Size Spider-Man Vol 2014 #1. Marvel Database Wikia. Retrieved 30 October 2016.